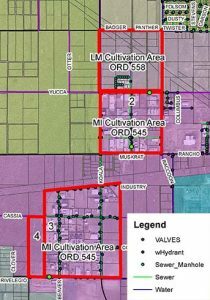 The desert-based city of Adelanto, California is expanding and thriving thanks to Councilman John “Bug” Woodard’s plans to industrialize the cultivation of medical-grade cannabis in the city. According to Woodard, he, along with Mayor Richard Kerr, have taken note of other cities that have shown great profits from selling and cultivating medical-grade cannabis. “We’re actually like the Boulder, Colorado,” said Woodard. 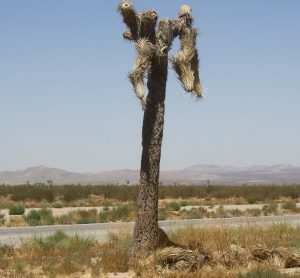 According to a 2010 census, Adelanto consist of 56 square miles of land area, and with most of that area home to Joshua Trees and tumble weeds, the city is open for the production of other kinds of weeds. Places like Boulder, Colorado are havens for cannabis smokers seeking both medical treatment and recreational release, but Woodard claims that “we have our eye on the medicinal side.” All of the cannabis that is sold and cultivated in the city is used for both recreational and medicinal purposes. According to the Assistant Planner, Eric Saazeda, the application cost around $15,000. That doesn’t guarantee approval, either. The amount of jobs that these factories produce is vague, but the amount of cosmetic improvements the city will receive is not. “If someone wants to build a factory, they have to pay for the street, the irrigation, the sewers, power lines and so forth,” said Saazeda. Getting companies to pay for major improvements to the city’s infrastructure should be easy, according to Woodard. Factories that once built model airplanes, centers for renting cars, and a fiberglass company have been bought out by others who want to cultivate cannabis for several million dollars. There are currently three zones designated for the cultivation of cannabis. Even though the city has taken caution with planning, the sheriff’s department has not been supportive of the city’s plans. Since the use of marijuana for recreational purposes was legalized on January 1, 2017, many companies have been looking for opportunities surrounding the cultivation and/or manufacturing of cannabis and cannabis oils in California. On August 3, the country’s largest cannabis producer and retailer, American Green Inc. purchased the town of Nipton, California that sits across from Las Vegas, Nevada. The company has plans to turn the town into a center for everything relating to cannabis.